Microwave absorption has attracted considerable attention in the last decade. Absorbing materials are an essential component for the reduction of incident microwave by absorption or by the use of destructive interference. Various factors such as permittivity and permeability affect the attenuation of microwaves by absorbers. From this observation, in this research an absorbing material has been developed to improve these properties using multiwall carbon nanotubes (MWCNTs) as a conductive polymer and Zn0.25Co0.75Fe2O4 as magnetic nanoparticles. For better dispersion in the reaction medium, consequently enhancing the interfacial polarization, MWCNTs were functionalized with carboxylic acid groups. 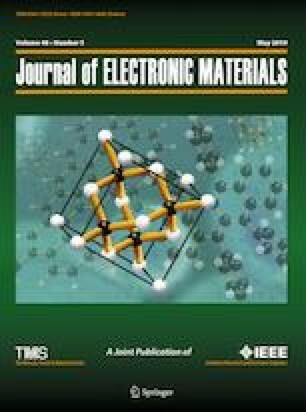 The functionalized MWCNTs were then decorated with Zn0.25Co0.75Fe2O4 magnetic nanoparticles through sonochemical and solvothermal complementary methods in ethylene glycol as solvent. Zn0.25Co0.75Fe2O4 nanoparticles and MWCNT/Zn0.25Co0.75Fe2O4 nanocomposite were identified by diffuse reflection spectroscopy (DRS), Fourier transform infrared (FT-IR), scanning electron microscopy (SEM), transmission electron microscopy (TEM), x-ray diffraction (XRD) and vibrating sample magnetometer (VSM). Investigation of microwave absorption properties was performed by vector network analyzer (VNA). Finally, MWCNT/Zn0.25Co0.75Fe2O4 nanocomposite was blended in silicone rubber as a polymeric matrix to investigate its microwave absorption properties. The MWCNT/Zn0.25Co0.75Fe2O4/silicone rubber nanocomposite absorbed 79.08 dB at 10.5 GHz with a thickness of 2.4 mm, having effective bandwidth (RL < −20 dB) more than 2.7 GHz.